This wick table lighter was made in ca. 1955 in England by Ronson and Ofeturia & Barlaston Wedgwood. The ceramic base is in a oyster shape and is finished in a classic celadon (willow-green color) glaze. 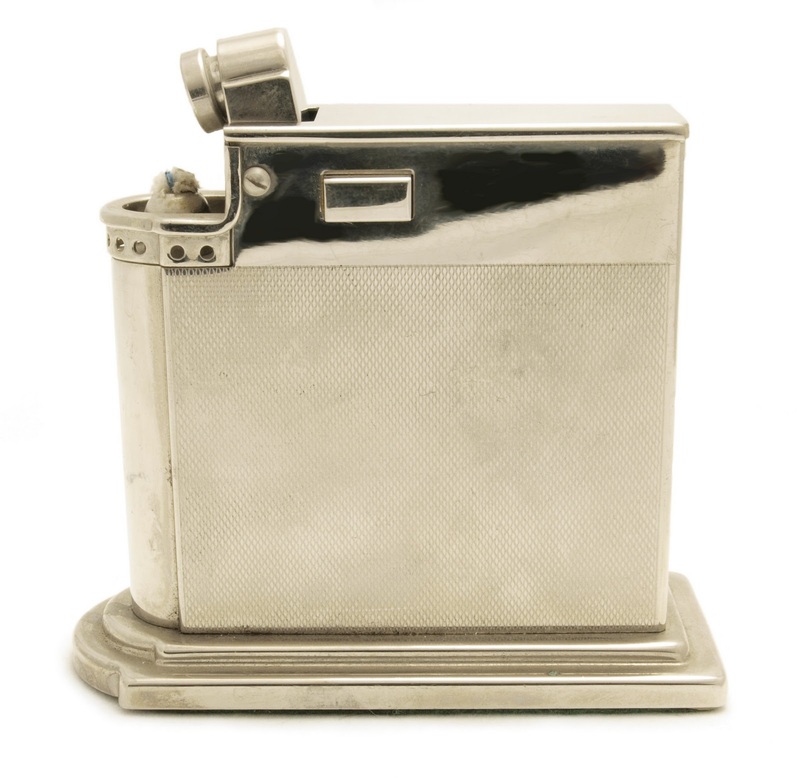 The Polo Automatic Lighter was made by Barnett Pearlman & Co. Ltd in London, England between ca. 1948-1952. 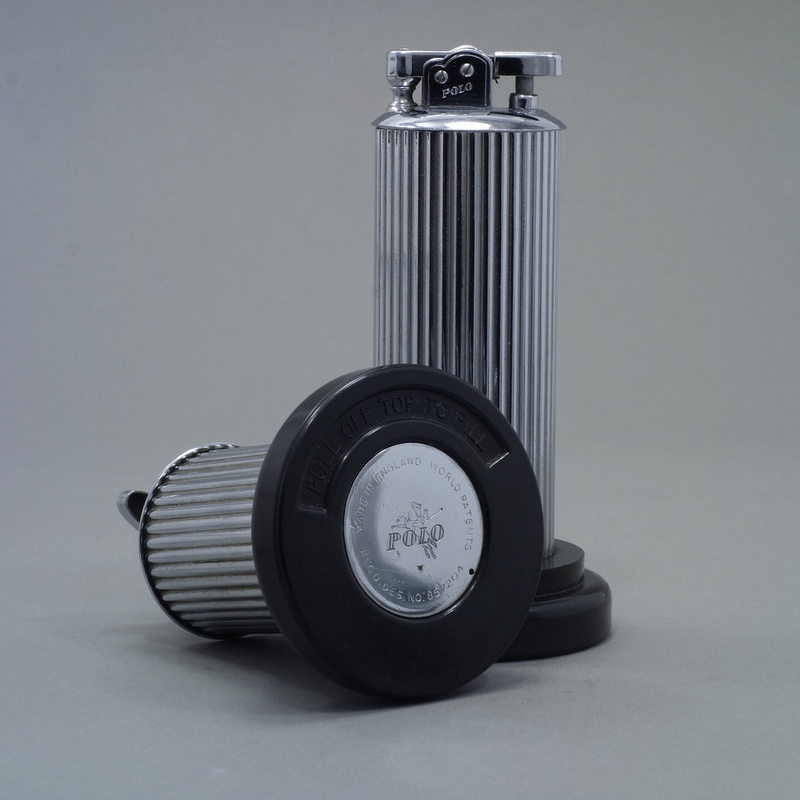 The base is made of brass and heavy chrome-plated. 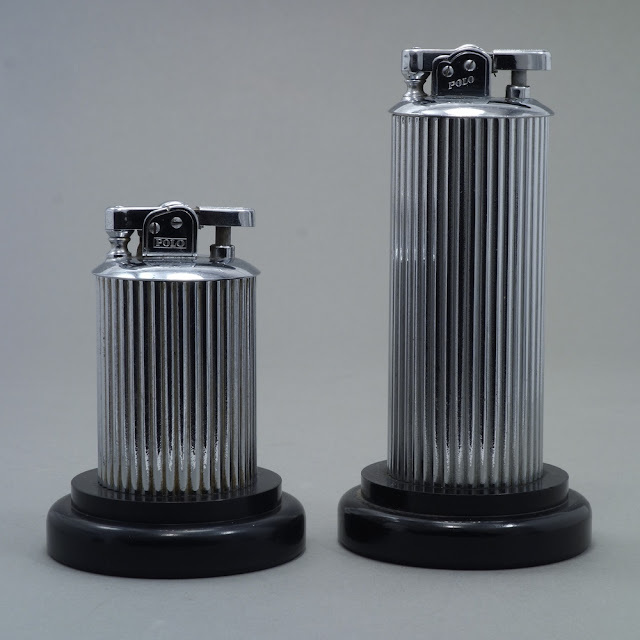 The bakelite pedestal gives the column shaped table lighter additional stability. The lighter was available in two different heights: 9 and 13 cm. The automatic lighter mechanism was invented by Ernest Shinwell and patented by Barnett Pearlman & Co. in 1948 (patent no. 642,908).